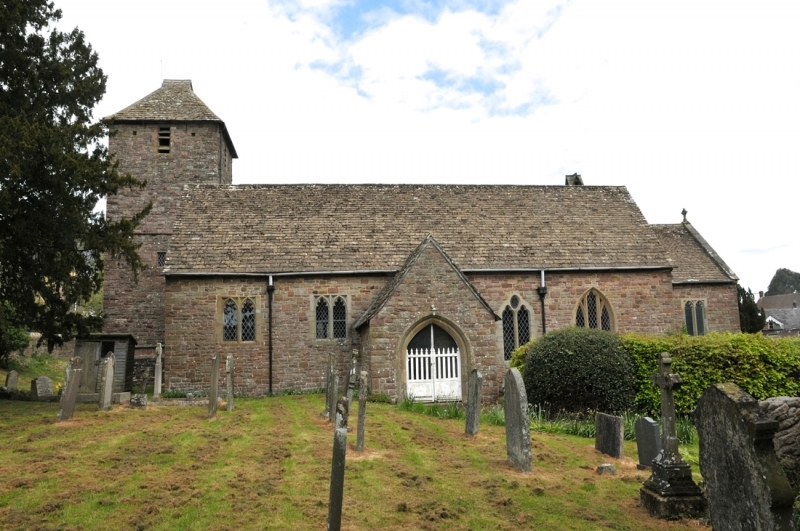 sandstone, stone slate roofs to coped gables, and terminal cross to chancel. without alteration M D CCC L VI'. windows between deep buttresses with double offsets to north side of nave. base. Some medieval glass fragments in south aisle east window.